What’s so great about running in October? Earlier this year Oireachtas na Gaeilge distributed wristbands with ‘Tá Gaeilge agam’ (‘I speak Irish’) to Irish speaking parkrunners, so that they could identify other Irish speakers at parkruns and chat to them. Carlow Town parkrun was the latest parkrun to host an Irish language celebration event, as Majella Ní Chríocháin from Oireachtas na Gaeilge explains…. Feeling inspired after a fantastic summer of parkrunning! parkrun Ireland has become an official challenge partner for Gaisce – The President’s Award, a personal development programme for young people aged between 15 and 25. 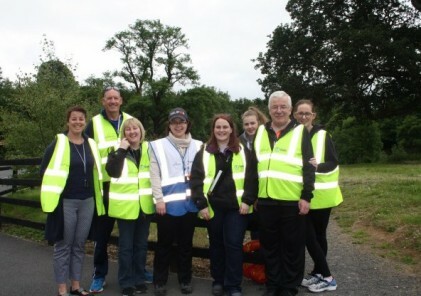 19-year-old Lucy Barrett, who recently completed the Award, has volunteered at St Anne’s parkrun for the ‘Community Challenge’ section of the Award over the past couple of years….